Banking on the skills of our qualified team of professionals, we are instrumental in offering supreme quality range of Manual Call Point. We are offering a wide range of Manual Call Box to our clients. Offered range of Manual Call Box is available with us in various design options. 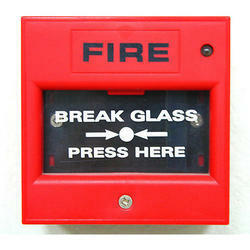 Widely used to alarm during fire, this Manual Call Box is offered by us in perfect condition. Our clients can avail this Manual Call Box from us at reasonable price range. Backed by a rich industrial experience, we have come up with a world class assortment of Manual Call Point. Our professionals are involved in the production of extensive array of Fire Alarm MCP. 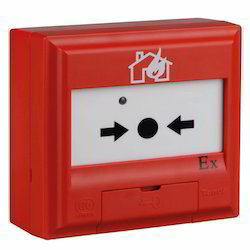 These Fire Alarm Manual Call Points are specially designed to make alarm in case of any fire. Entire range of products is passed through a rigorous inspection to assure longer and effective working life and cost-effectiveness. Our company is one of the well-established names in this business and is engaged in offering Manual Call Point. In order to keep pace with the never ending demands of customers, we are involved into offering wide range of Fire Alarm Panel. MCPs are an active fire protection device that usually gets activated when the user pulls the handle down or press the keys. Complying with international quality standards, our manual call points are of optimum quality and high in performance. Further, we also well check these devices at our end before delivering to the clients.